Now is the perfect time to get garlic into the ground. 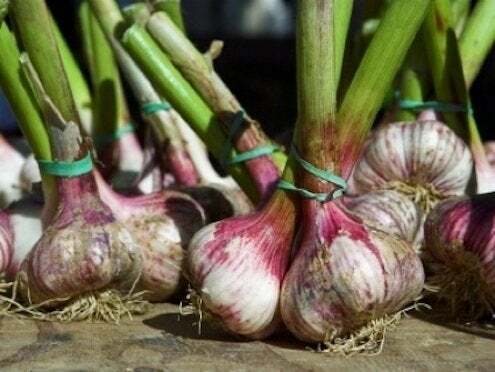 The cloves get a head start on the growing season so that by late summer, you’ll have a nice supply of the health-boosting bulbs. 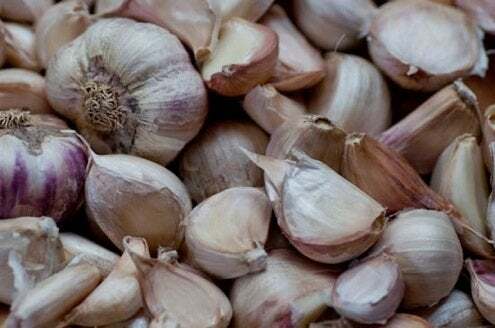 While you can try planting the leftover cloves from last night’s spaghetti, most of the garlic distributed for food has been sprayed with an inhibitor to prevent sprouting. Instead, shop for one of the hundreds of varieties from a respected source online, or visit your local nursery. There are two sub-varieties of garlic. Hardnecks, which stand up to cold climates, have a long stiff stem that prevents braiding. Softnecks, which prefer milder winters, have a stem that becomes pliant and easy to braid as the cloves ripen. These are the type ubiquitous in grocery stores, as they are easy to grow on a large scale. Both types are prepared for planting in the same way—removed from the bulb but kept in the tissue outer layer. Place the cloves about two inches below the surface of the soil, pointing up. Space them about six inches apart and then cover with mulch (and straw if you live in an especially cold part of the US). While the initial shoots might die back or stop growing during the winter, they will pick up again in the spring with the head start of established roots. Stop watering the garlic at the beginning of the summer to let the bulbs become firm. In the warmer months, you’ll start seeing long spiky tendrils, or scrapes, growing from the hardneck varieties. Cutting the scapes back will make it so more of the plant’s energy goes into creating a bigger bulb. 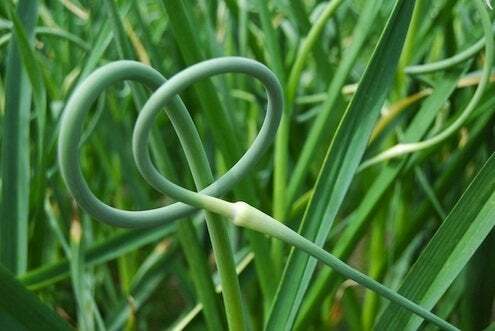 Although doing so isn’t necessary, it does result in a mini harvest, as the scapes can be used in the kitchen before your full cloves come in! 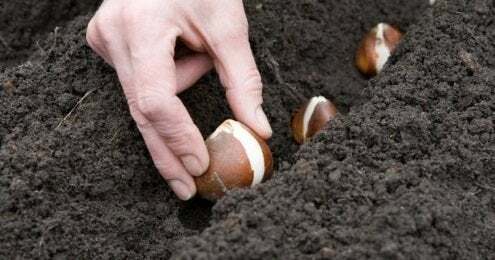 It’s time to bring up the bulbs when the leaves have turned brown in midsummer. Dig them up and then let them cure in a dry, well-ventilated space for about four to six weeks before cooking them up.